There are over 6 million cohabiting couples living in the UK. This is double the amount there was twenty years ago. 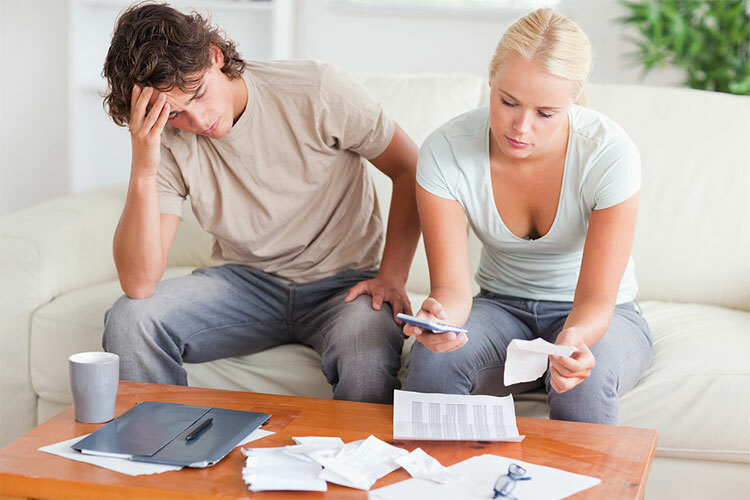 Many couples are comfortable living together without getting married, meaning financial situations can often become confusing. When you live together and have separate finances, it’s easy to end up arguing about who pays for which bills and whether your partner should pay half for something that you spontaneously decided to buy that day. Living with a partner is very different to simply sharing a home with a friend or even a stranger. A room mate will split all bills in half, down to the very last penny, separate the fridge by shelves, and buy their own food and drink - this doesn’t usually happen with cohabiting couples. When you share your meals with your other half, and try and take it in turns buying home furnishings, it can become tricky, especially if one person earns more than the other or one person ends up paying more of the bills. It is important to communicate right from the start and address these potential issues. One way couples can work out how to manage their money when living together is to work by the percentage principle. The first thing to do is sit down and calculate your total household income, working out if one person earns more than the other. If one person earns 60% of your household income, then it could be that you decide they will pay 60% of all the bills and groceries too. This means that the person earning less won’t end up stretching their pennies and be unable to afford to eat out or doing anything special, while the other is still sitting comfortably with extra money. If you know where your relationship is going and are comfortable sharing money with your other half, then one of the easiest things to do is set up a joint account. When you have a joint account, you can set up standing orders and direct debits for all bills and rent, and just put a set amount of money into the account when you both get paid every month. Some accounts, such as the Santander 123 account are designed with bills in mind, and may offer cash back on some outgoings. Do your research and find out which joint account would work best for you and your partner. If you buy a house together and all the furniture you put in it, it can be a good idea to set up a cohabitation agreement, however secure your relationship may be. This agreement will determine exactly which assets each person will get should the relationship break down in the future. The agreement will cover the property, all furniture, personal belongings, and any savings you have together. Unfortunately cohabiting couples have no legal rights to remain in a property if they split up, so it is good to have this agreement in place before you move in together. This is especially important if one person owns the property you live in and the other person simply contributes to the mortgage.